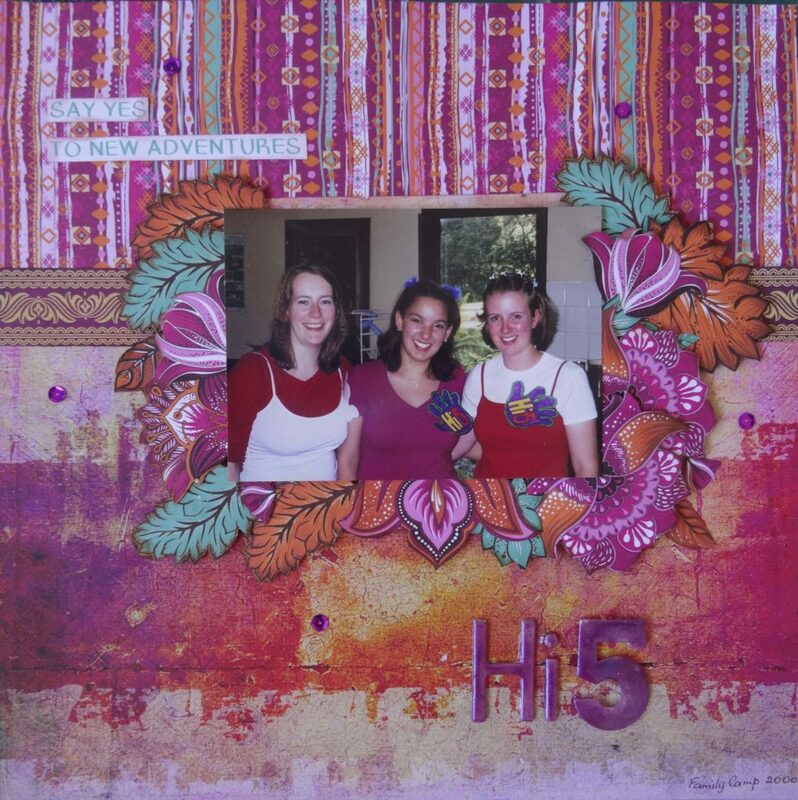 This layout of my daughter and two of her friends is for Off the Rails April Colour challenge….photo taken at a church family camp where they dressed up as Hi 5 in 2000. 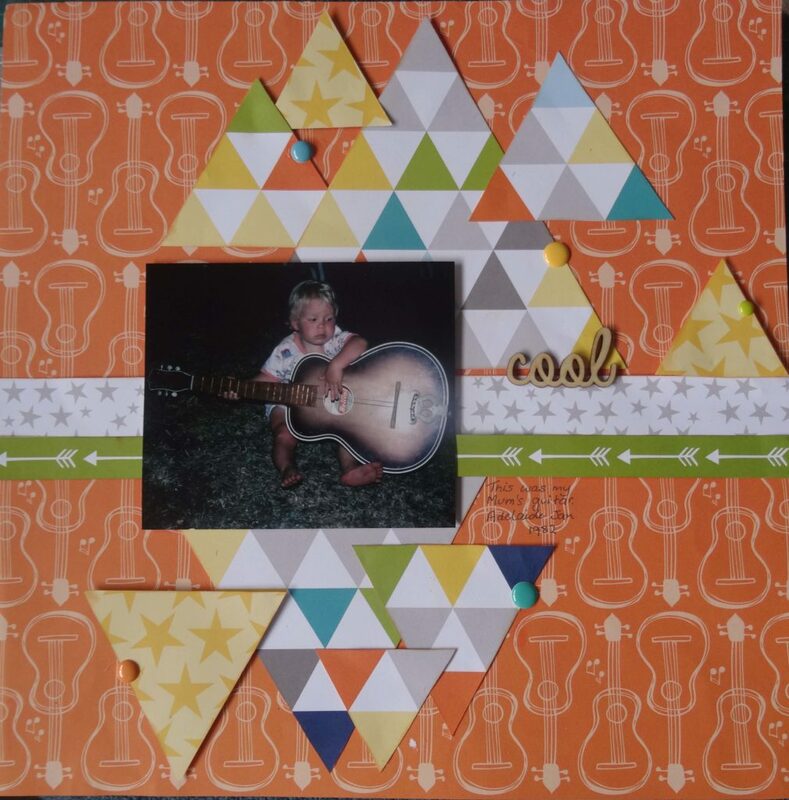 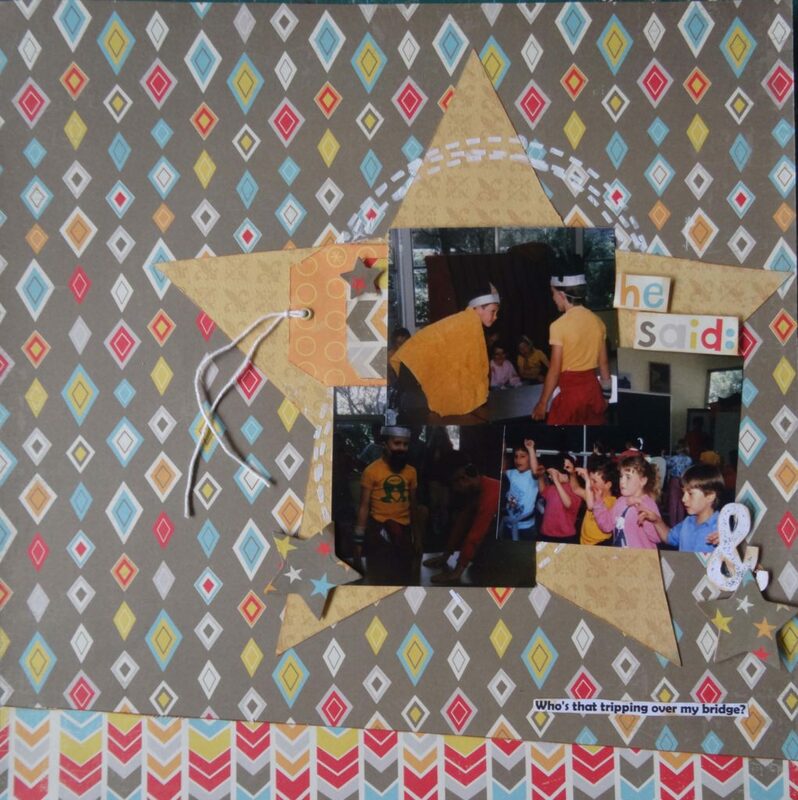 This is for Scrapbookboutique’s March colour challenge….We used to get wheeled around by Dad in the wheelbarrow when we were kids ..this is a layout of our son and his cousin with Grandpa…I have used an old BoBunny collection. 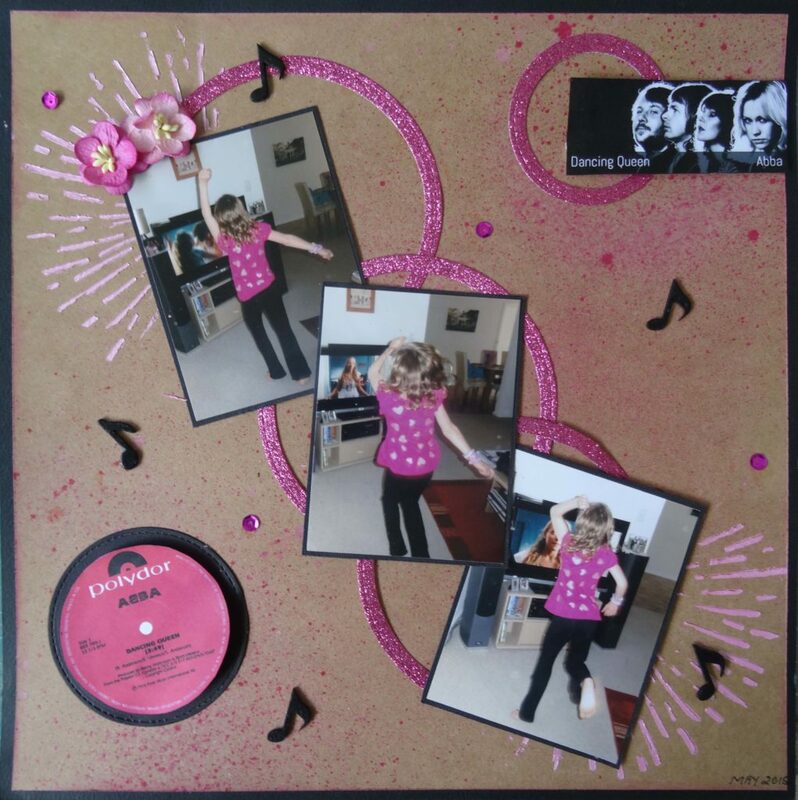 A first for me doing my own background paper with distress inks…This was when I had 2 broken arms in 2013..as the page says..always look on the bright side of life…I could not do anything but I could still scrap…my kids called me the Terminator …so dont mess with me. 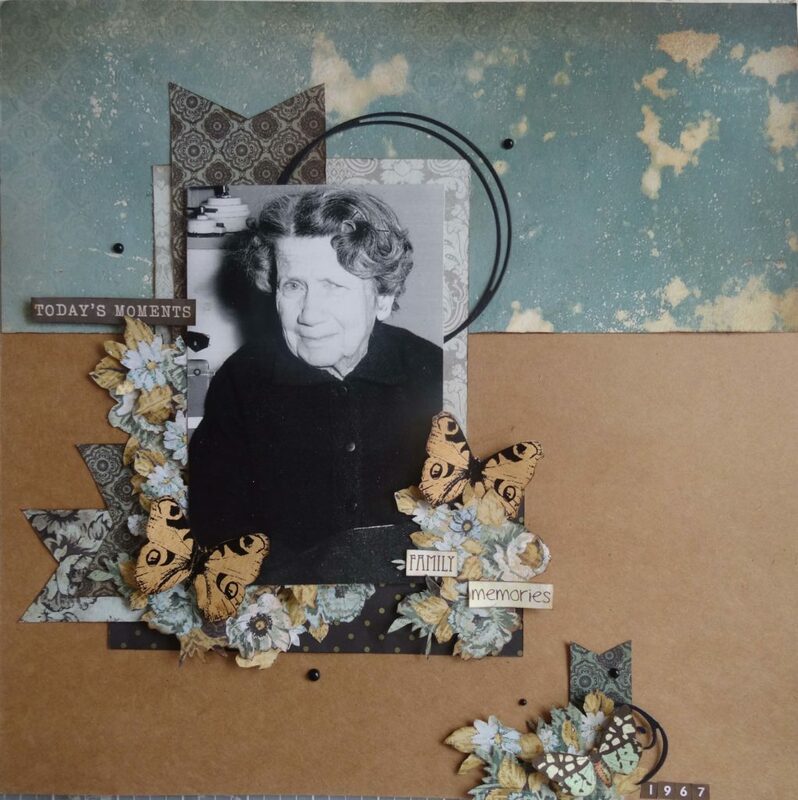 He said..who’s that tripping over my bridge..Layout for March scrap the boys sketch challenge. 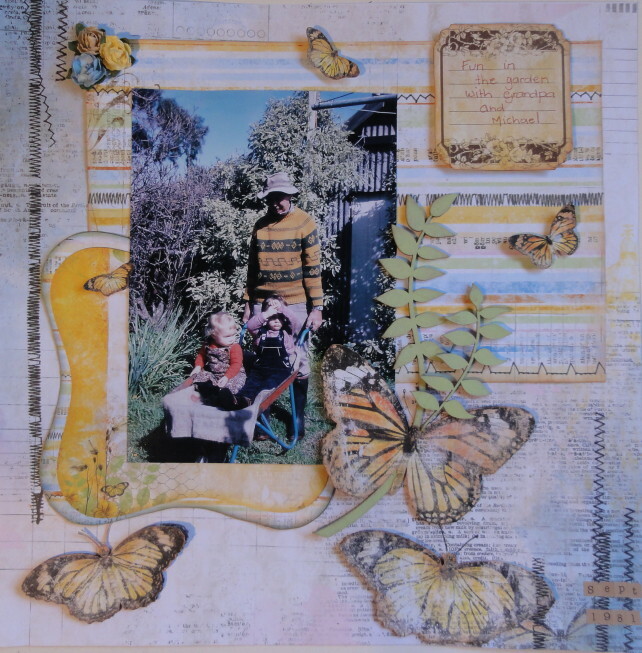 Layout of my grandmother as I remember her in 1967…this is for Kraft plus March challenge using sketch provided and fussy cutting…I have fussy cut all the flowers and the butterflies. 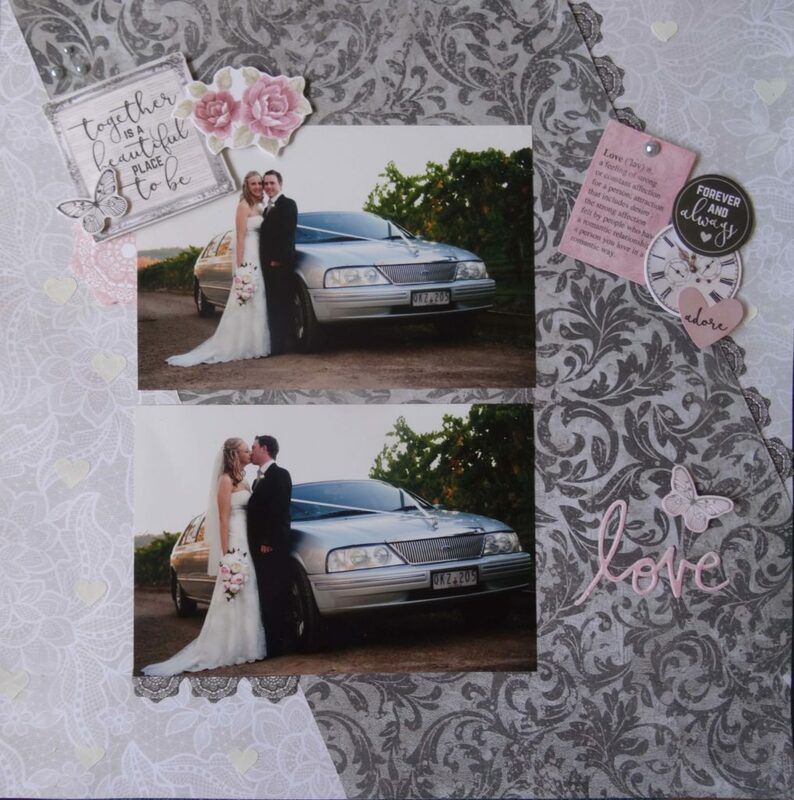 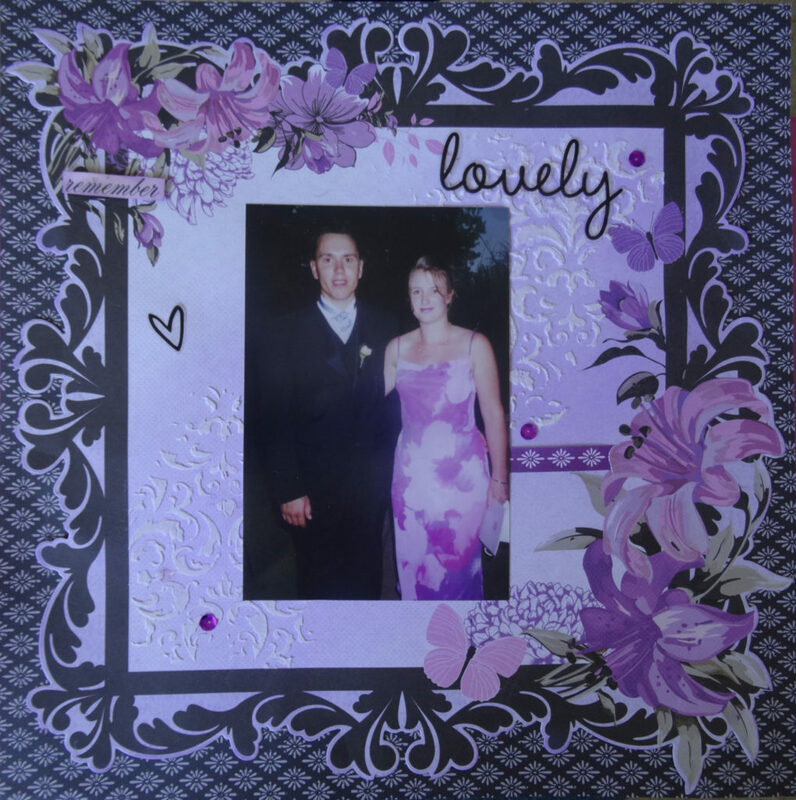 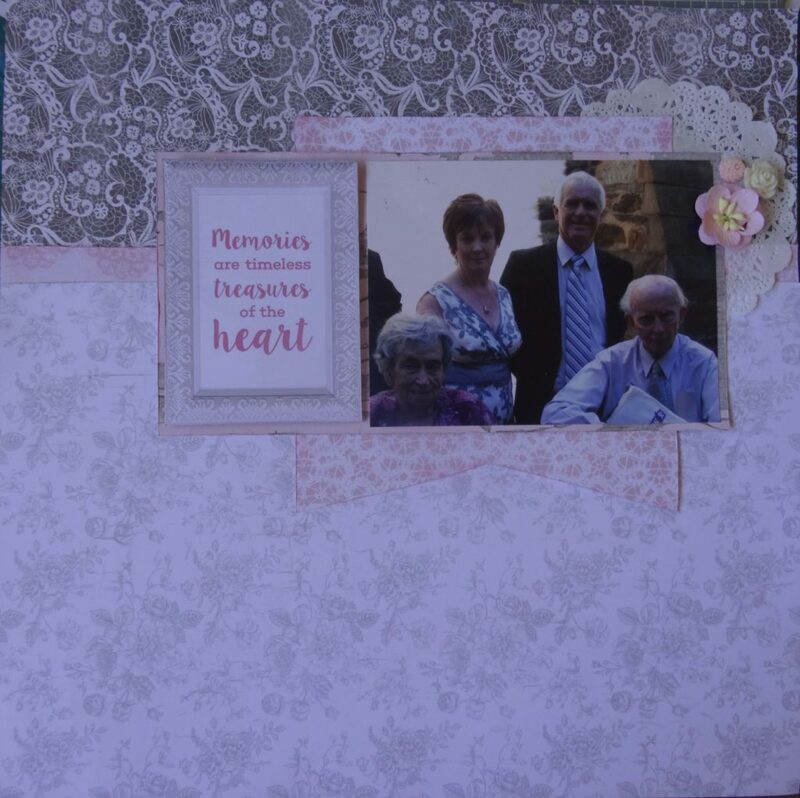 Layout using Kaisercraft Cottage Rose collection…one of the last photos of me and Hubby with my Mum and Dad. 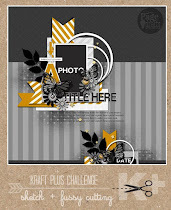 This is for the Kraft+ challenge with an ABBA theme.